Flight chronicles of the backpacker Tutubi, with travelogues, pictures/photos/videos, travel guides, independent and honest reviews, affordable, recommended resorts and hotels (including inns, guesthouses, pension houses, lodges, hostels, condotels, bed and breakfast and other cheap accommodations), commuting guides, routes (sometimes street maps and GPS coordinates/waypoints) and driving directions to answer "how to get there" questions, information and tips on tourism, budget travel and living in Philippines, Exotic Asia and beyond! Backpacking, independent travel, and flashpacking are cheaper than the "cheapest package tours" and promotional offers around but you can also use travel information for family vacations, even romantic honeymoon destinations. More than the usual tourist spots and "places to see," this blog advocates heritage conservation, environmental protection, and history awareness for Filipinos, foreigners, and ex-pats wishing to explore Paradise Philippines and Exotic Asia! This post lists down what's closed and what's not during Holy Week in Metro Manila and places within three hours of travel time for city dwellers stuck in Manila. 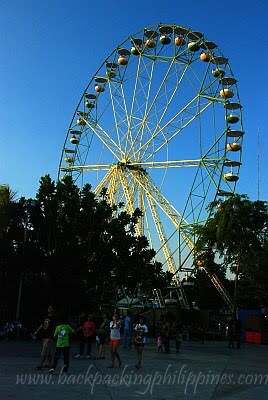 On Easter Sunday, come with the whole family to Star City open only a day in holy week. Bring family with kids to Enchanted Kingdom (only on Black Saturday and Easter Sunday). Kamay ni Hesus in Lucban Quezon. If you can't stand the heat of summer, particularly on Holy Thursday and Good Friday, just stay at home, take a bath from time to time, turn on the electric fan/aircon and the TV. 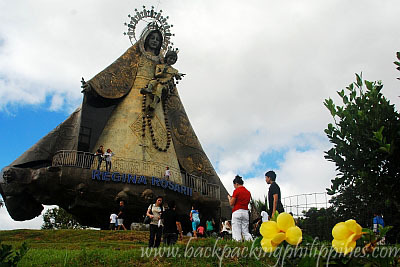 Holy Week Travel Tip: withdraw money from ATM as early as possible to avoid long lines or offline ATM out of cash. All banks are closed from Maundy Thursday to Easter Sunday and banking services will resume only on April 1. Banks in malls (e.g. BDO, Chinabank, Bank of the Philippine Islands(BPI), Metrobank, PNB, RCBC, Landbank, Robinsons Bank, East West Bank, Unionbank, Security Bank, UCPB) possibly have only ATM online. Expect lots of off-line ATMs due to out of cash scenarios.